Grazie a Nikos Zimouras per la segnalazione. In a recent post, I reported more or less without comment the story in an Italian newspaper (the equivalent of the Wall Street Journal) that claimed that free range conditions for chickens actually led to more, not less, stress for chickens because of the size of the flocks and the hens inability to establish a hierarchy. I had actually just recently been to an organic farm outside of Rome, where I had seen a rather large (perhaps a thousand hens) flock of “free range” chickens: none showed the characteristic lack of plumage that the article had indicated was typical of free range birds. Since this was only anecdotal, I didn’t note it in the post. 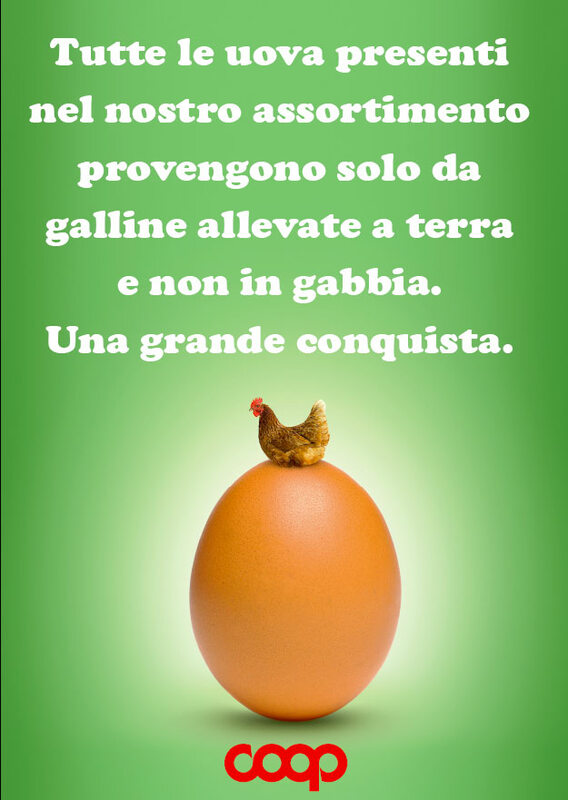 Now however there is a story in the Italian news about the Coop, a nationwide network of supermarkets that are cooperatives, not publicly traded companies. The Coop, already well-known for its green initiatives and promotion of organic and fair trade brands, received the “Good Egg” award on 20 October 2010 from the association “Compassion in World Farming.” From now on all the eggs in the Coop’s 1,400 stores will come from hens that are raised on the ground, free range, and organic. The official press release notes that a European directive from 1999 prohibits hens in cages from 1 January 2012 in any event.